If you want to add any comments, tips, knowledge, sharing etc related to App or any particular Screen, Add Notes is the option on the right side. It gives you a quick and simple notepad editing experience. 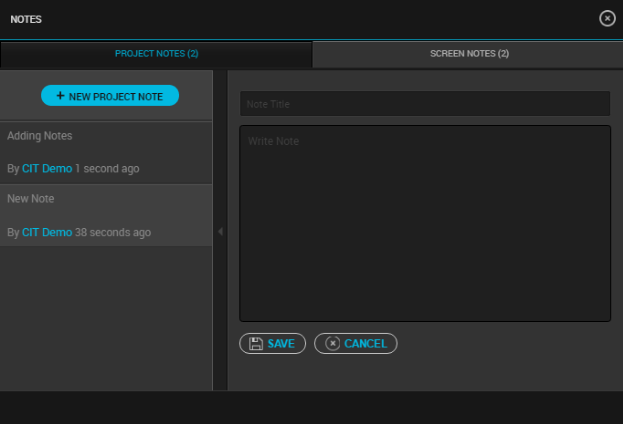 To include or supporting information, you can add a note for the entire project. This will be visible tadditional o all the team members of the App. This is helpful when working in a Team. 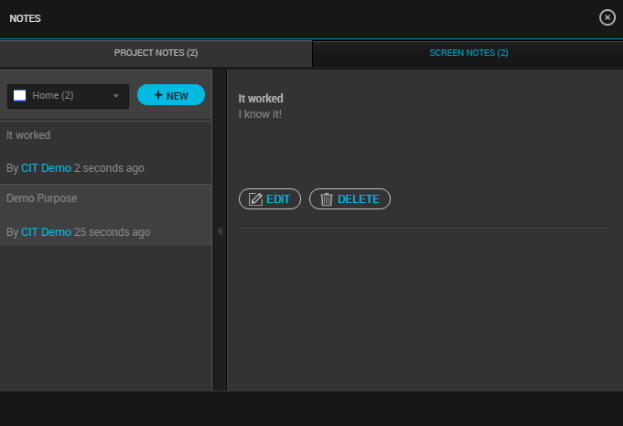 Clicking on “Add Notes” will open Project Notes by default. All the existing notes are listed on the left side with the name of the user as well as time/date. Here you can add a new project Note. You can add as many notes as you require. Give the title to your note. It will help you distinguish between the number of notes added. You can write the detailed descriptive note here. Save the note you have added/drafted. Cancel will remove away the note. While opening any existing note, it gives option to delete. Clicking on “Delete” button will ask for the confirmation. Clicking yes will delete the note forever. You can add notes for a specific screen as well. Select the screen in the left panel from the drop down. Gives selection the screen from the drop down for which user wants to add notes. Clicking on this, user can add a new Screen Note. You can add as many notes as you require.